READ WITH CAUTION, POSSIBLE SPOILERS BELOW!! A few days ago, rumors swirled around the Internet that Scottish actor Ian McDiarmid could return to that galaxy far, far away, in Star Wars: Episode VII. While it’s unclear whom McDiarmid would play in the new movie, it is believed that he would reprise his role as Emperor Palpatine from the original trilogy. If you remember, Palpatine dies at the end of Return of the Jedi when Darth Vader dumps him down a ventilation shaft. The latest speculation suggests that Palpatine could return to the Star Wars cinematic universe, but not as a clone, like he does in the Star Wars: Dark Empire trilogy. According to Latino Review’s inside sources, McDiarmid would return to play the Emperor as a Force Ghost in the new movies, like Obi-Wan Kenobi, Anakin Skywalker, and Master Yoda at the end of Return of the Jedi. The same Jedi technique that allows fallen Jedi Knights to return back to life, also happens to be the same one Sith Lords can use to return from beyond the grave. The details continue with the revelation that Palpatine was secretly training a new Sith apprentice before he died. I thought there only could be two Sith Lords; one master and one apprentice. 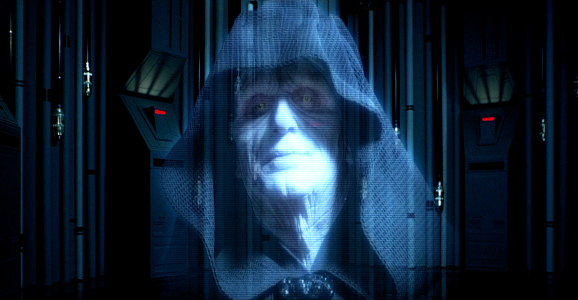 Force ghost Palpatine would finish his apprentice’s training in the Sith Arts from beyond the grave. Honestly, this sounds dumb. 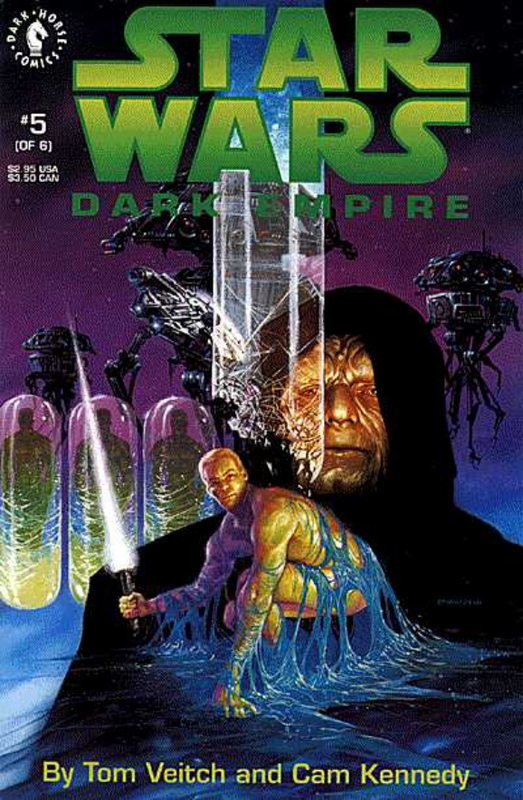 The Dark Empire trilogy is a series of comic books released by Dark Horse between 1991 and 1995. There are 14 issues altogether, and they explore the time period after Return of the Jedi. Palpatine returns as a clone, Luke Skywalker takes a detour to the Dark Side of the Force for a brief time, and Boba Fett manages to crawl out of the Sarlacc pit. The series also features the first appearance of Anakin Solo, the son of Han and Leia. These rumors also suggest that director J.J. Abrams and screenwriter Michael Arndt aren’t following any preexisting material from the expanded Star Wars universe for Episode VII. Like most Star Wars rumors, take this with a huge grain of salt until Disney and Lucasfilm officially confirm or deny McDiarmid’s appearance. It does seem plausible, however. A few months ago, McDiarmid expressed interest in returning for the new films, though he considered appearing in a stand-alone movie rather than an “Episode” film. He also stated that he’d like to watch Emperor Palpatine in an offshoot movie that would take place between Revenge of the Sith and A New Hope. In the proposed film, we’d get actually to see Palpatine build the Galactic Empire from the ruins of the Republic. At the moment, it’s very difficult to tell what Star Wars: Episode VII will be about. We’ll get a better idea when Lucasfilm starts casting, but until then we’ll just have to wait and see what develops. The only certain things we do know is that J.J. Abrams will direct, Michael Arndt will write, John Williams will score, and that the next film will be released sometime during the summer of 2015. Considering that Abrams made Star Trek into Darkness, the worst Star Trek movie ever made, im not expecting much. I’m not really expecting anything from this new trilogy not because of Abrams. It should have been stopped after the “prelogy”. Even Lucas got it wrong, his characters being stupid because too manichean. No shades of grey is irritating, because you can’t develop characters psychology more further to make them interesting.